My first attempt at crocheting a granny square caused tears to flow. I’m pretty sure a ball of yarn and a shiny metal crochet hook sailed through the air, too. As you may know, I taught myself to knit using a Klutz knitting book. While I didn’t have a similar book for crochet, I did have a laptop computer and a conviction that I could teach myself to crochet. I knew a few stitches, mostly chain and single crochet. I had used the latter a few times to construct borders for scarves or blankets. What I couldn’t seem to get the hang of was double crochet. At the time, I didn’t even know that’s what I struggled with. All I knew was that, though I attempted to follow a tutorial for a granny square that I found online, I could not make it work. 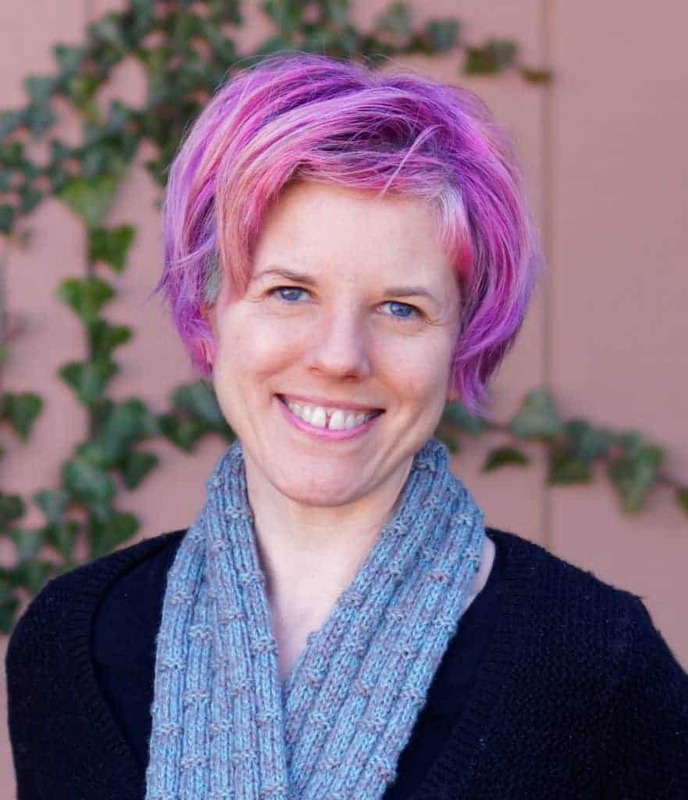 I am forever grateful to Amy O’Neill Houck and Miriam Felton, contributors and designers at Knitty.com. Their crochet tutorials not only helped me master several basic crochet stitches for the first time, but they also taught me how to properly crochet a granny square—without tears! Since then, I’ve not really attempted to learn further crochet because I’ve found granny squares so compelling. They take so little time to make, and it’s so easy to get into a mindless, relaxing rhythm. As I mentioned in my most recent What I’m Knitting Wednesday post, I’ve gotten back onto a granny square kick. I’m not even sure if I’ll use them for a blanket; I’m just having fun creating them. Once, I considered that connecting granny squares in one single row or column, rather than in multiple rows and columns, could create a scarf. I wondered if I could create something else after crocheting a big pile of granny squares. 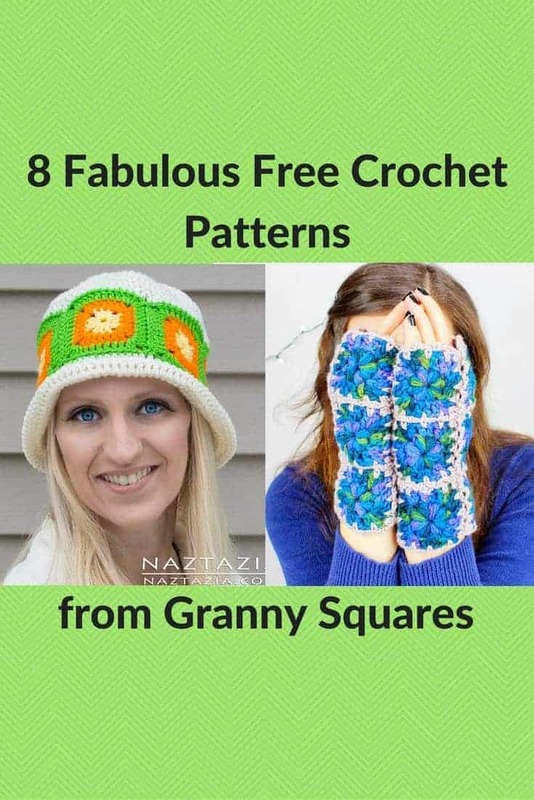 So I searched through several of Ravelry’s most popular granny square-themed patterns. Now, I present this free collection to you. Some of the patterns here do use hexagon-shaped granny squares, rather than square ones. The primary difference appears to be the use of triple crochet rather than double crochet. You can find a quick video tutorial for triple crochet below. Now, let’s get busy with some granny square fun! Classic Granny Bookmark Want to get started with working granny squares together? This adorable bookmark is a great way to begin. As a bonus, you can try your hand at crocheting with thread. Hexagon Boot Slippers Aren’t these adorable? The first of two granny hexagon patterns. These would make such delightful baby gifts or charity projects. Iced Edge Granny Square Slouch Hat I never thought you could make a hat with granny squares! But this and the next pattern proves you absolutely can. 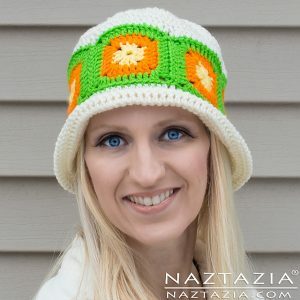 This one offers a granny stitch body and a granny-square brim. So cute! Citrus Splash Hat Pictured, right So many delightful details make this hat a scene-stealer. The gorgeous colors. The daring design. Even the fact that you can make a scarf to match! 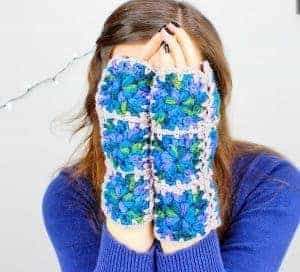 Seaflower Mitts Pictured, below left I would never have imagined that you could turn granny squares into mitts till I saw this pattern. Emma Potter designed these to mimic a similar pair of mitts she found at Anthropologie. If you find the pattern a little tricky, no worries; she made a video tutorial to give you a hand. Granny Square Bags and Inga’s Häkelbeutel Both of these are bag patterns, but the Granny Square Bags are far simpler, with just 4 squares on each side. Inga’s Häkelbeutel uses far more squares and on the diagonal, so it’s a little more challenging. Both are stylish ways to carry your yarn love with you everywhere. Granny Baby Why yes… you can even create a little baby doll using granny squares! My favorite part is the adorable little binky stitched onto every face. This would make such a delightful charity project! Hooked on granny squares like I am? I hope you’ll find this collection as illuminating as I did. If you’d like to hunt for more, feel free to use the same search on Ravelry as I did. Here’s to granny squares without tears—or flying balls of yarn and crochet hooks! Previous Post: « What Do You Struggle with Most in Knitting? I wish I could help, but I didn’t even know left-handed crochet patterns were a thing! I’ll try to do some research and see what I can find.